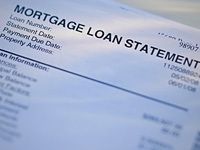 Mortgage Interest Deduction - Will it be eliminated? I am often asked if I think the mortgage interest deduction will eventually be eliminated. It is one way our government is proposing to help reduce the national debt. It is definitely going to change and those making a certain amount won't be able to take the deduction. I came across this article that defines how this could affect you. It is arguably one of the most popular U.S. tax deductions, and for some it is the necessary stimulus to buy a home. The mortgage interest deduction, however, is now at risk, due to negotiations over the so-called "fiscal cliff"--the year-end deadline for large spending cuts and the expiration of tax cuts. The deduction lets homeowners reduce their taxable income by the amount of interest paid on their mortgage. This can be on the principal residence or a second home, but not on mulitple investment properties. Taxpayers are eligible for this deduction only if they itemize. Finally, the interest deduction is capped at $1 million of your mortgage. For those making less than $40,000 a year, the average tax savings is about $100. But in that bracket less than one-quarter of homeowners itemize deductionsl, so most don't get anything. For those earning up to $250,000, the average savings, based on average mortgage amounts, would be $1,200-$2,600 a year. For those earning more than $250,000, and 100 percent of them itemize, the average savings is $5,400 a year. Now to the proposals--and they are many. One, released by the Simpson-Bowles commission, would cap the mortgage interest deduction at $500,000 of the home's value and limit the deduction to primary residence. A bipartisan plan from Domenici-Rivlin would limit the deduction to just $25,000 worth of mortgage interest. Other proposals include eliminating the deduction only for taxpayers earning $250,000 or more, ending the benefit for second homes, ending the deduction entirely or limiting the amount of all itemized deductions to $25,000. That last one was advocated by Mitt Romney, but apparently some Democrats on Capitol Hill are starting to espouse it. Without one proposal leading the pack, again, it is impossible to boil down the real cost to homeowners, but suffice it to say that anyone in the business of home ownership is opposed to reducing the mortgage interest deduction. "It's chilling the market," said Jerry Howard, CEO of the National Association of Home Builders. "Whenever there is uncertainty surrounding the value of an American home, why would you expect people to go out and buy a home? Or, just as much to the point, when there's uncertainty about the value of a home why would someone put their house on the market to sell it, that's why this whole debate to me is counter-productive and is only retarding the nation's economic recovery." "The mortgage interest deduction is vital to the stability of the American housing market and economy, and we will remain vigilant in opposing any future plan that modifies or excludes the deductibility of mortgage interest," said Gary Thomas, president of the National Association of Realtors. --Realty Check producer Stephanie Dhue contributed to this report.